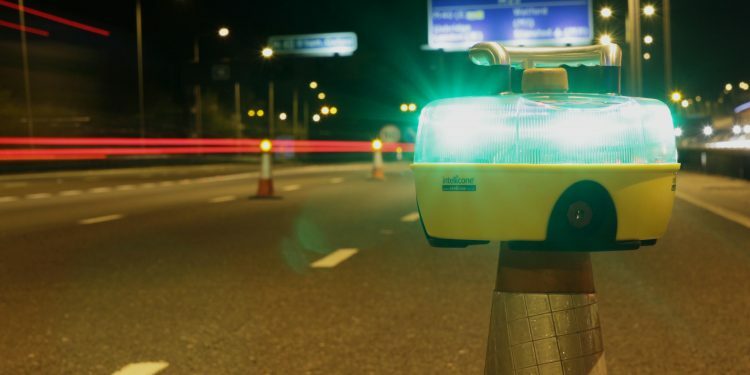 Highways England’s recent released ‘Raising the Bar 27 Guidelines’ (Managing Temporary Traffic Management Incursions) highlights the important contribution of smart safety technology in helping to prevent and mitigate vehicle incursions into roadworks. 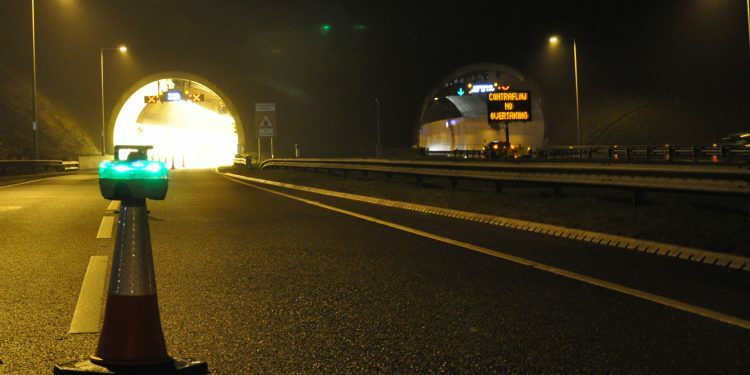 As a direct response to these requirements, HRS’s Smart Closure system is now widely available for use across the Strategic Road Network. 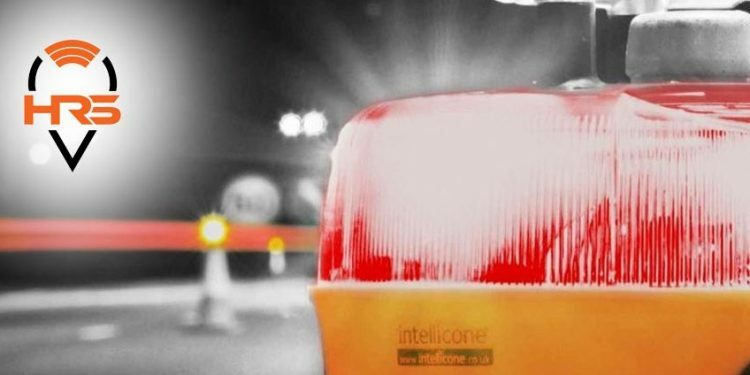 The revised guidance for industry best practice is based on the outcome of a recent Highways England study which concluded that “the warning functionality of Intellicone will provide a much faster and more reliable means of informing road workers of a vehicle incursion than traditional methods (e.g. mobile phone/text-based broadcast message to others working in the area). 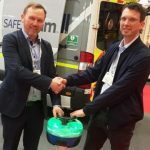 The benefits of this type of system can provide significant benefit to the mitigation of all types of incursion risks”. 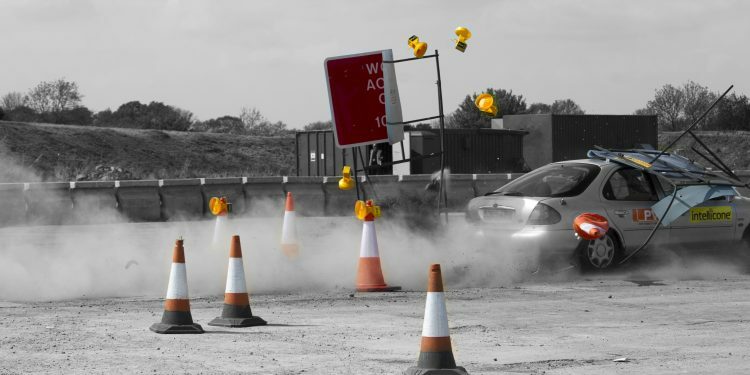 Vehicle incursions are one of the highest risks that road workers are exposed to. 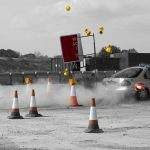 Over the past 10 years several fatalities have been recorded and more 1,700 vehicle incursions were reported during 2018. 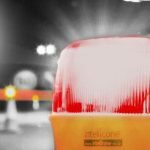 Unauthorised vehicles entering a vehicle incursion zone are extremely dangerous to road workers and other road users. 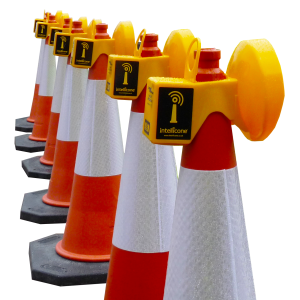 Smart Taper monitors temporary traffic management enabling an instant and informed response to taper strikes. it reports strikes immediately allowing for the speedy removal of the hazard. 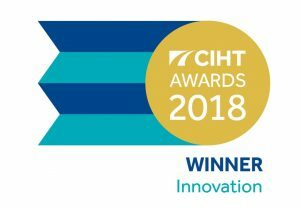 This award is for innovative problem solving within highways and transportation that encourages imaginative concepts and excellence. 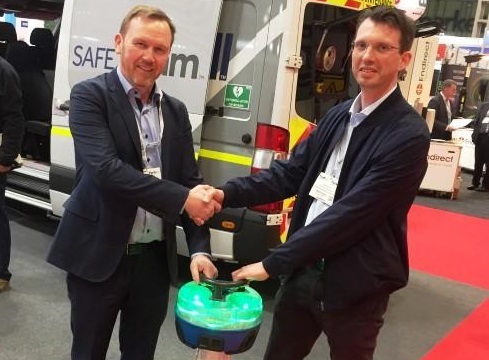 Kier and HRS collaborated on a pilot to develop an innovative digital service – Smart Taper – with the potential to revolutionise how industry manages traffic management (TM). 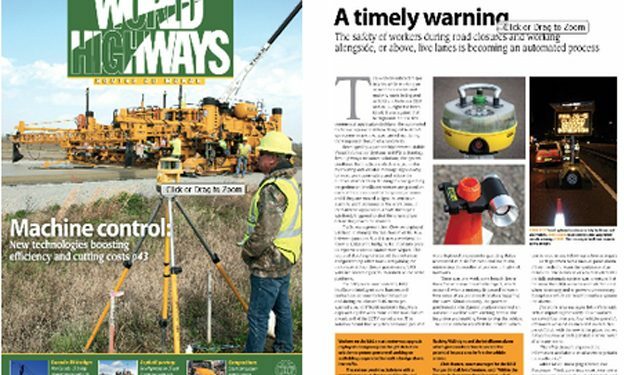 Taper Strikes pose a serious risk to road users and road workers, with current industry practice to inspect the integrity of TM on a routine basis (normally every two hours), meaning that unsafe tapers can be left exposed for unacceptable lengths of time. Smart Taper monitors the integrity of cone tapers and immediately reports strikes directly to TM crews. 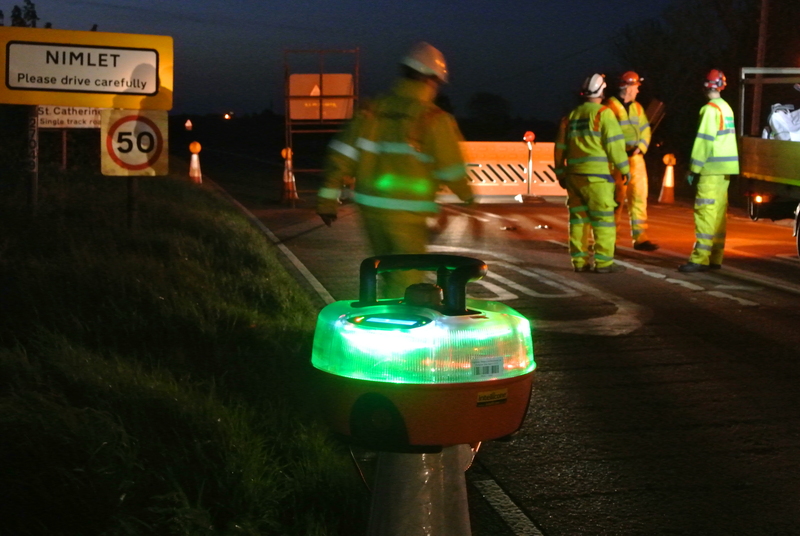 For the first time, this technology can also interface with Highways England’s Schedule of Roadworks (SRW/NOMS) system. In addition, TM controllers and designers can view deployments on live mapping interfaces and use automated reports about on/off times and working windows, which provides intelligence-led decisions and delivers more efficient schemes of work. Smart Taper has been deployed more than 2,000 times in Area 9 and is fully embraced by the Area 9 TM team. 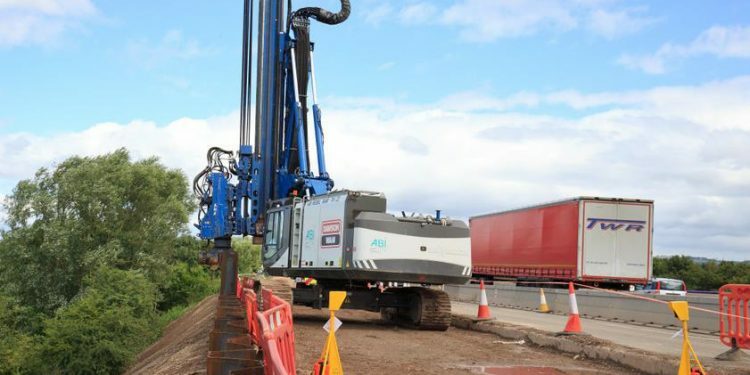 Due to the success of the pilot, it is being rolled out across Kier contracts. 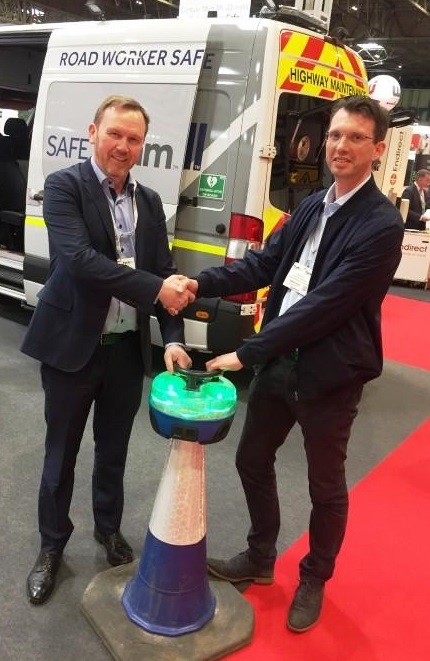 Smart Taper is under development to allow autonomous vehicles to navigate road works safely, based upon the exact locations of cone barriers and the first/last roadworks signs.